Oddly enough, even though Motor1.com is an enthusiast auto site, the fantastic Mercedes C 112 with its gullwing doors has to settle for the last place in our top. Introduced in 1991 with a 6.0-liter V12 engine pushing out 408 horsepower, the concept served as a road-going equivalent of the Sauber-Mercedes C 11 Group C race car and ushered in many high-tech features such as the active suspension. 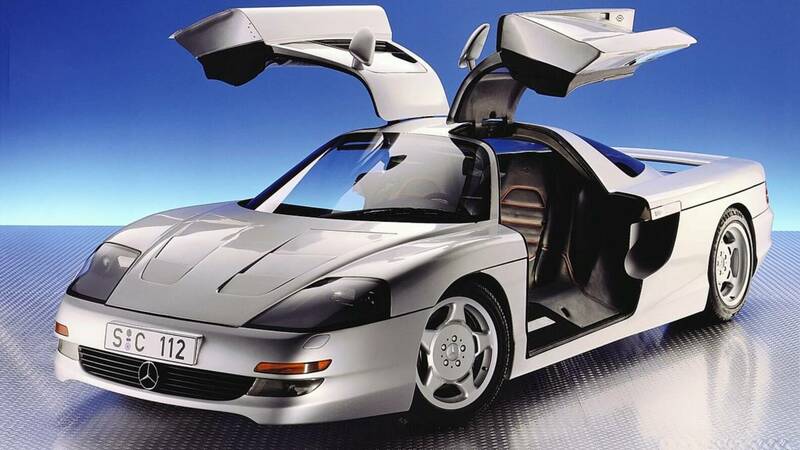 You can read all about the 1991 Mercedes C 112 concept here. At number 9 we find the Volkswagen Advanced Activity Concept (AAC) unveiled at the 2000 Detroit Auto Show. Powered by a V10 turbodiesel engine with 313 hp, the rugged concept was envisioned with four-wheel drive and an air suspension to create what VW referred to back in the day as a pickup truck with the “luxury of a top-class sedan.” It never received the stamp of approval, but some of the styling did rub off on the original Touareg. 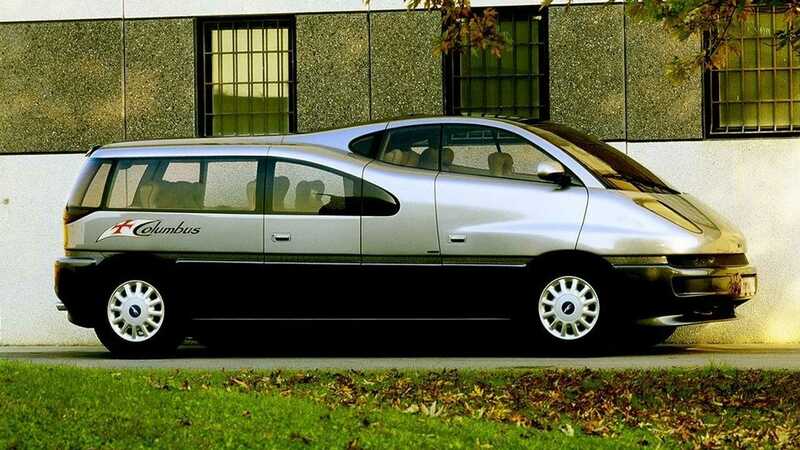 You can read all about the 2000 Volkswagen AAC concept here. 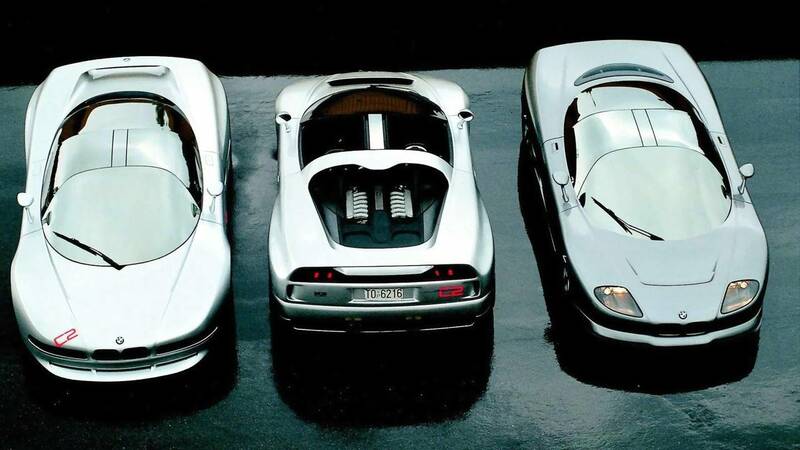 A three-in-one Concept We Forgot, the Nazca M12 revealed at the 1991 Geneva Motor Show was followed a year later by the C2 Coupe and in 1993 by the C2 Spider. BMW and Italdesign got together and used as foundation the Bugatti ID 90 with a 300-horsepower 5.0-liter V12 engine sourced from the 850i. The C2 was tweaked by Alpina to 350 hp while the C2 Spider had the larger 5.6-liter engine sourced from 850 CSi with 380 hp on tap. You can read all about the three concepts here. The #7 is a quirky minivan that certainly won’t go down in history as one of the most beautiful concepts ever built by Mercedes. The F100 was a research vehicle, so it packed a lot of technology we now take for granted in today’s production models. It was interesting for many reasons: front-wheel-drive platform, central driver’s seat, roof-mounted solar cells, and a six-cylinder engine running on hydrogen. You can read all about the 1991 Mercedes F100 concept here. Number 6 is another Mercedes research vehicle, the F200 Imagination from the 1996 Paris Motor Show. Eschewing the conventional steering wheel in favor of a joystick, the V12 coupe was a luxobarge with everything from active suspension and bi-xenon headlights to voice recognition and cameras instead of side mirrors. Design traits can be seen in the S-Class W220 and the CL-Class C215. You can read all about the 1996 Mercedes F200 Imagination concept here. We’ve reached the halfway of the top 10 and it’s yet again another Mercedes research vehicle. The F700 unveiled at the 2007 Frankfurt Motor Show is like a weirdly designed CLS created with efficiency in mind. 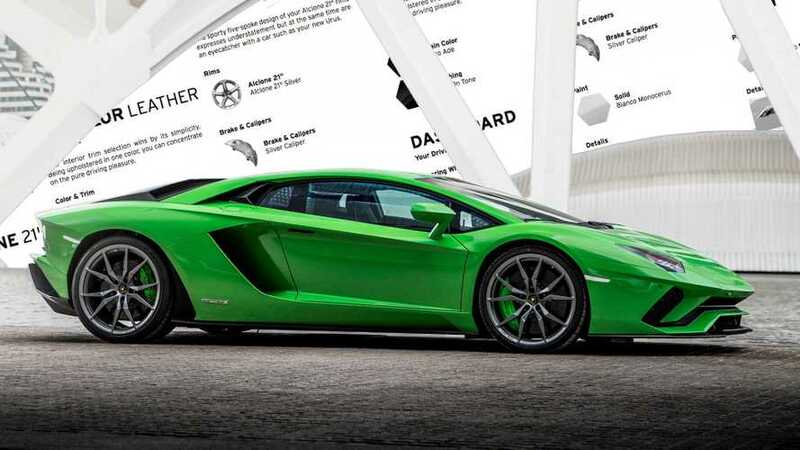 It had a small twin-turbo 1.8-liter four-cylinder combining technology from both gasoline and diesel engines to help the concept achieve the best fuel economy among all large sedans by sipping only 5.3 liters / 100 km (44.3 miles per gallon). 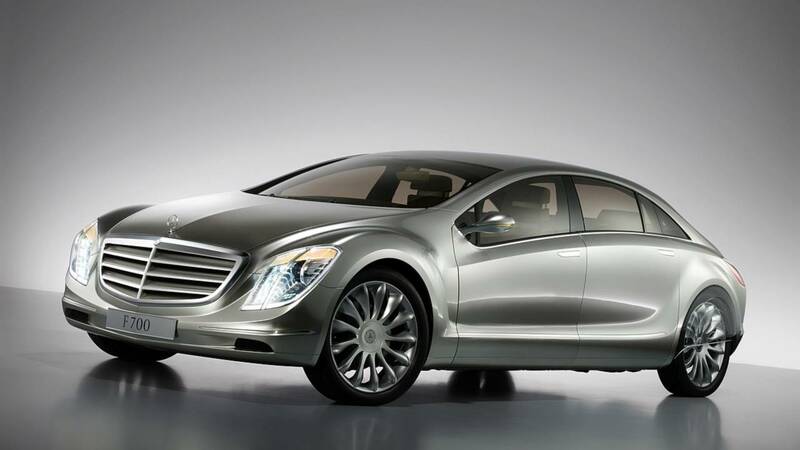 You can read all about the 2007 Mercedes F700 concept here. Do you ever stop and wonder how a Volkswagen version of the Porsche Panamera would look? 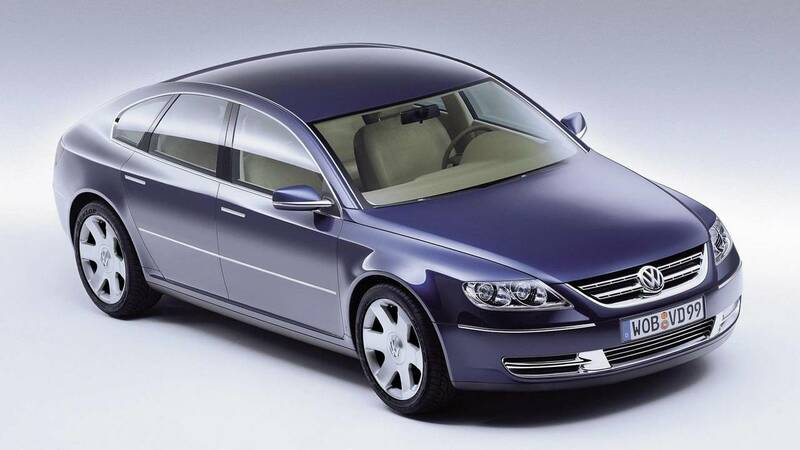 At the 1999 Frankfurt Motor Show, the VW Concept D was a taste of things to come as far as the Phaeton was concerned and took the shape of a swoopy large sedan (technically, it was a five-door liftback) with all the luxury Wolfsburg had to offer. It came with a mighty V10 turbodiesel engine, air suspension with adaptive damping, and lots of cool toys. It went on to become the D1 in 2001, which was nearly the same as the production-ready Phaeton. 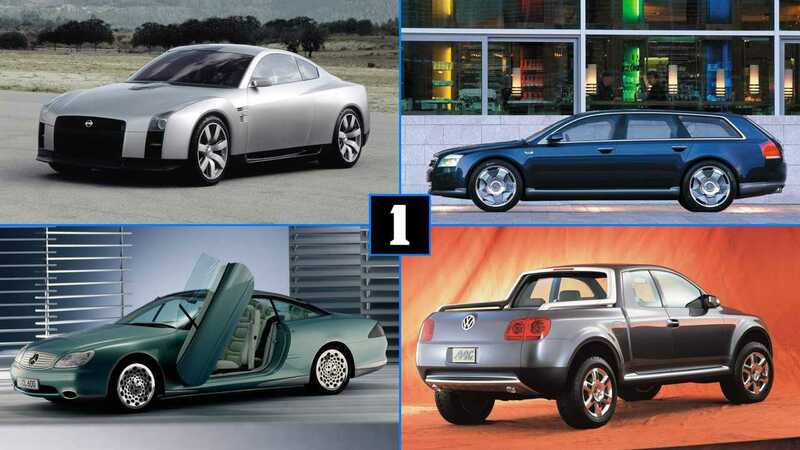 You can read all about the 1999 VW Concept D here. We’ve reached the top 3 and on the last place of the podium is the Nissan Skyline GT-R concept from the 2001 Tokyo Motor Show. As seen above, it was as a window into what was to become the R35 launched in 2007 and still on sale today. 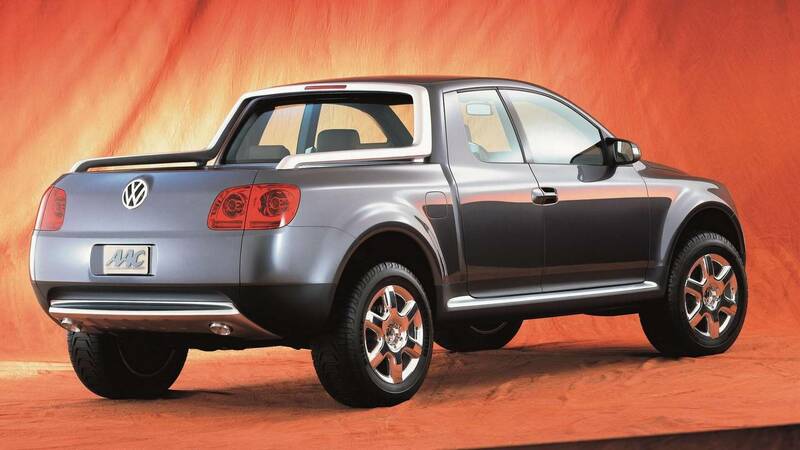 With an extremely familiar design, the concept evolved in 2005 into the Proto, which was very close to the road-going model. 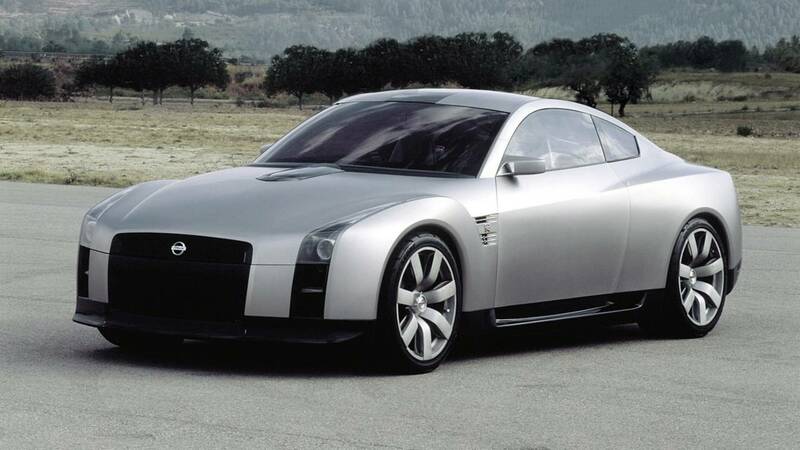 You can read all about the 2001 Nissan Skyline GT-R concept here. 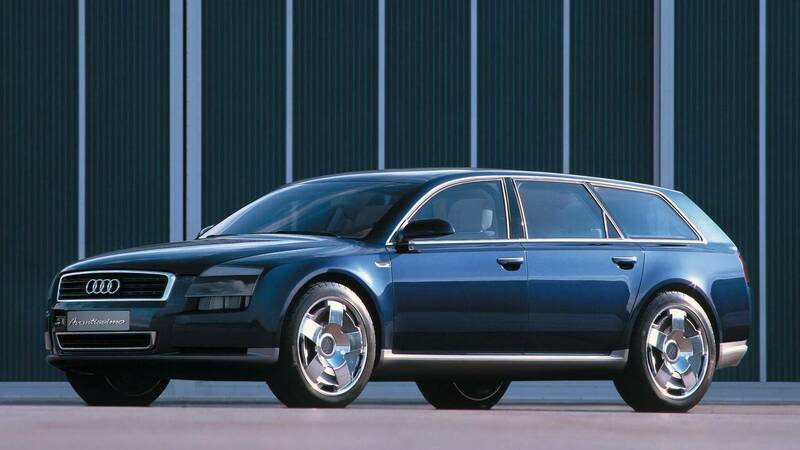 The Audi A8 wagon that never was claims second place as the mesmerizing Avantissimo from the 2001 Frankfurt Motor Show. It previewed the second-generation A8 fullsize luxury sedan and gave us an idea about the company’s MMI infotainment system. Power came from a twin-turbo 4.2-liter V8 linked to Quattro via a six-speed automatic transmission. Fast forward to present day, an Italian coachbuilder is building an Audi A8 Avant Allroad based on the previous generation of the flagship and equipped with a W12 engine. 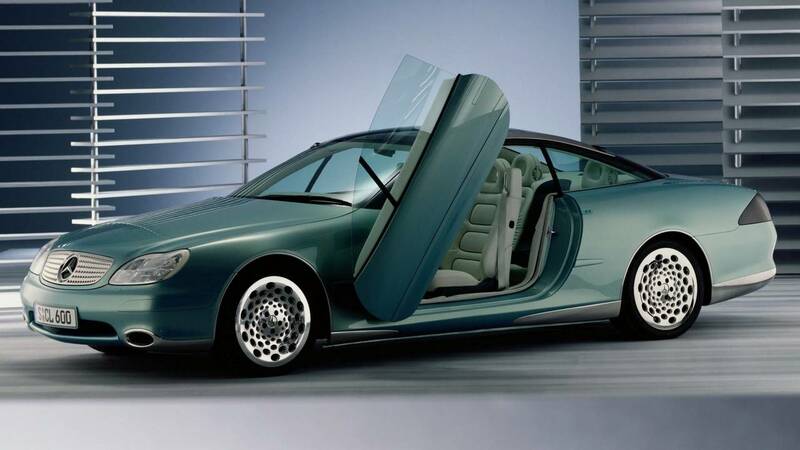 You can read all about the 2001 Audi Avantissimo concept here. Minivan fans will be glad to hear the numero uno is the ludicrous Italdesign Columbus powered by a mid-mounted BMW V12 engine. Nearly six meters (236 inches) long, the all-wheel-drive behemoth had a central driver’s seat and an imposing carbon fiber body of questionable design. The “sailing ship for dry land” as it was characterized back then had a cavernous interior for up to six passengers. 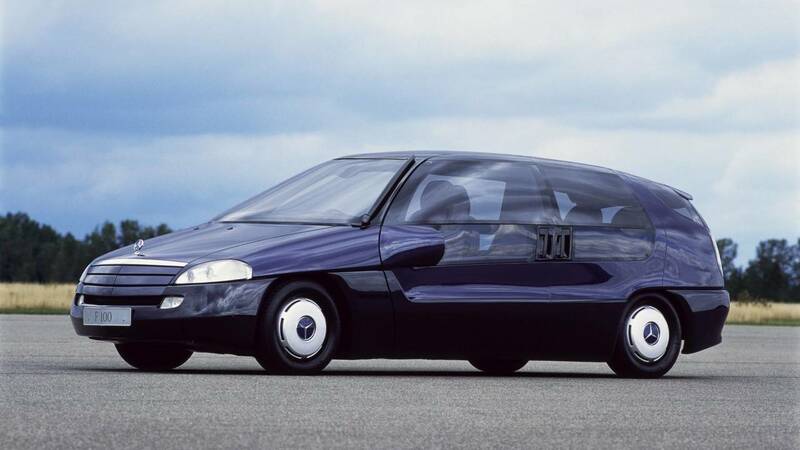 You can read all about the 1992 Italdesign Columbus concept here. 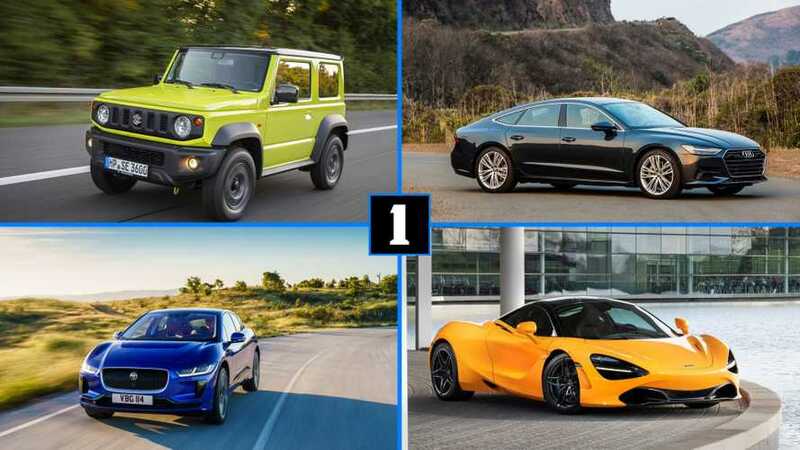 Numbers don't lie – the most popular concept was a minivan while a supercar was dead last. 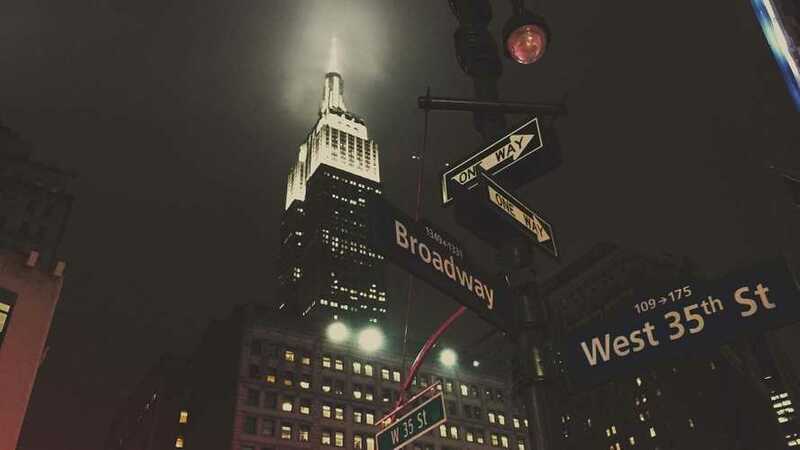 As the year draws to a close, we figured it’s the right time to have a look back at our most popular articles from the weekly Concept We Forgot series. Without spoiling the results, let’s just say the top 10 is dominated by Mercedes with four entries, but none of them made it into the top 3. 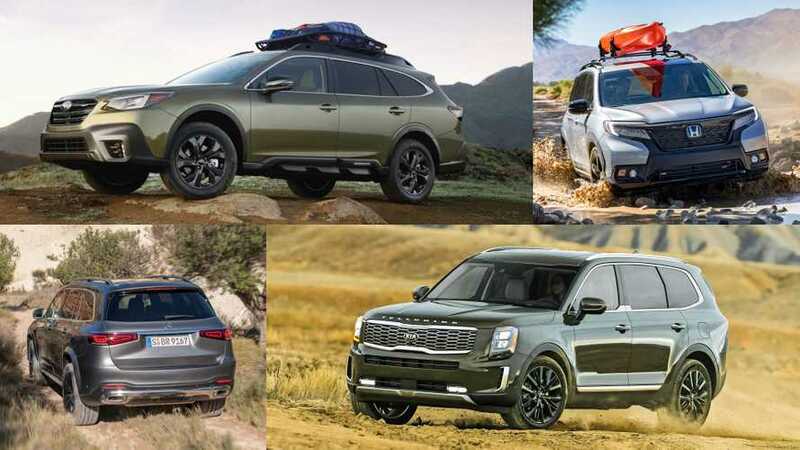 Despite today’s SUV-obsessed world, you won’t find any high-riding models, although one of them is a pickup truck that went on to become the first-generation Touareg. 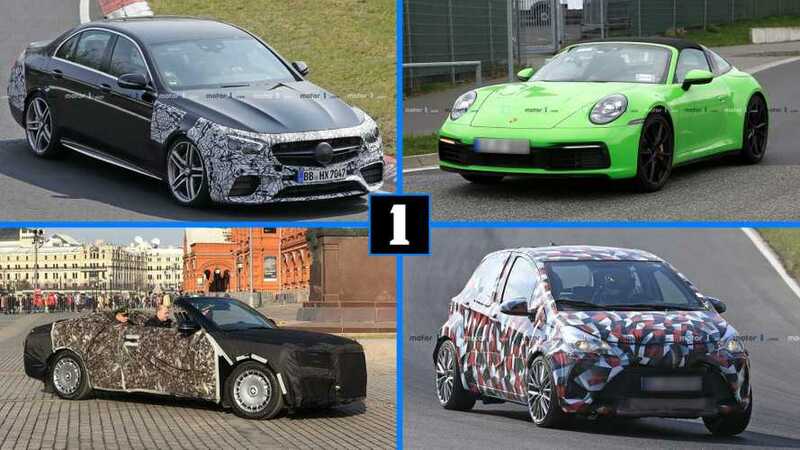 We already have some interesting concepts lined up for next year, so watch this space beginning January 2 for more quirky cars that didn’t make it to the assembly line. 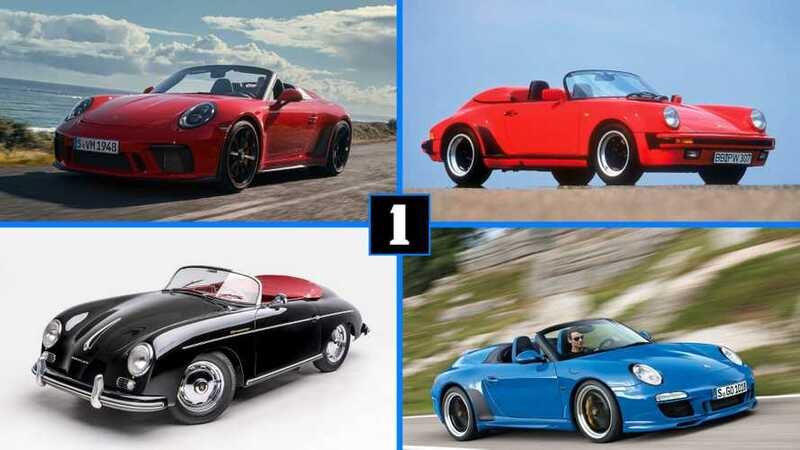 In the meantime, click on the "Next" button above for the top 10 forgotten concepts we published over the course of 2018. If you have more time to spare, you can check out the top 10 we posted in 2017.